KUALA LUMPUR — He remains Malaysia’s longest ruling prime minister and was one of 20th Century Asia’s most prominent political leaders, but none of that did Mahathir Mohamad much good when trying to meet former rival Anwar Ibrahim last Wednesday. Prison authorities refused to allow the meeting take place as “there was no official request,” according to Nurul Izzah Anwar, an opposition MP and Anwar Ibrahim’s daughter. The previous weekend before the abortive meeting, 92 year old Mahathir was nominated by the Pakatan Harapan (Alliance of Hope) opposition coalition as their prime ministerial candidate should they win parliamentary elections due to take place by August this year. The elections will see Mahathir run against former colleagues from the United Malays National Organisation. UMNO is the country’s biggest party and has retained power through 13 elections since Malaysian independence in 1957. Anwar, Malaysia’s opposition leader, was jailed in 2015 for sodomizing a male party colleague — charges he says were fabricated by the government. He has been in hospital since sustaining a shoulder injury last September. Anwar is up for release in June but is disqualified from the election even if voting take place afterwards. Denying Mahathir permission to meet Anwar was another reminder of what the opposition sees as a rigged status quo. “We have been governed by an autocratic and unfair system for many years,” said Nurul Izzah Anwar, who pointed out that Prime Minister Najib Razak was allowed meet her father. During the last elections held in 2013, the opposition coalition — then known as the Pakatan Rakyat (People’s Alliance) — won 52% of the popular vote but gerrymandered rural constituencies meant they finished with only 40% of seats. If Mahathir does somehow replace Najib, he will be world’s oldest head of government. Although he has no problem speaking at a podium or walking the streets meeting supporters – in age terms it would be like Americans electing George Bush Senior in 2016. It is not just Mahathir’s age that make him a surprise choice. An authoritarian prime minister from 1981 to 2003, he implemented many of the rules that will make it difficult for him to return to office. Mahathir’s tenure was also tainted by allegations of ethnic favoritism – giving the country’s 68% bumiputera majority — mostly ethnic Malay Muslims — government contracts and jobs ahead of the 23.2% of Malaysians who are of Chinese descent. In 2013 almost all the Chinese-Malaysian votes went to the opposition, leaving the Chinese-Malaysian Democratic Action Party the second biggest in the country after UMNO. That success was almost the opposition coalition’s undoing, with UMNO claiming an opposition win would put Chinese-Malaysians in control. 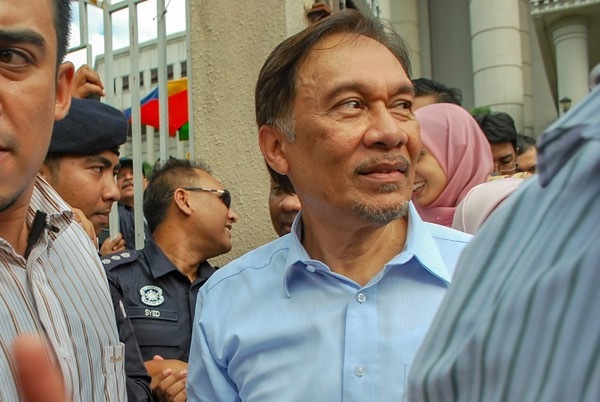 By mid-2015, Anwar was in jail and the Pan-Malaysian Islamic Party had defected prompting concerns that the fractured opposition would never win enough rural Malay votes to take power. Some local opposition party organizations have come out against the nomination, which government ministers are using to accuse the opposition of hypocrisy. While in office, Mahathir jailed several opposition leaders, — including Anwar Ibrahim, who was Mahathir’s deputy prime minister, as well as the DAP leader Lim Kit Siang. But Nurul Izzah Anwar believes that despite Mahathir’s autocratic past, he will stick to opposition promises to make Malaysia more democratic. “Mahathir has made a pledge with the leaders [of the opposition parties] to implement our reform agenda if he takes office,” she told the Nikkei Asian Review.